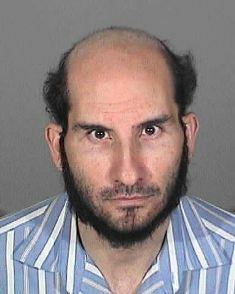 Santa Monica Police Detectives are seeking information or additional victims in connection with the arrest of Rabbi Sholom Doyber Levitansky. On September 30, 2015 Levitansky was booked into the Santa Monica Police Department's jail on a felony warrant for sexual abuse of a child. Levitansky is a resident of Sherman Oaks. The allegations of abuse took place between the years of 1998 and 2002. Levitansky met his victims while working at the Living Torah Center in Santa Monica. The two victims were 15 and 16 years old at the time. Levitansky who was in his mid-twenties during the time of the alleged acts has been charged by the Los Angeles County District Attorney's Office with five counts of oral copulation of a person under 18 years of age, five counts of sexual penetration by a foreign object, and one count of lewd act upon a child. The Santa Monica Police Department urges anyone with additional information to contact Detective Roy Brown at 310-458-8960, Sgt. William Heric at 310-458-8453, or the Watch Commander at 310-458-8427.